HOTEL OVERVIEW A minimalist lifestyle boutique hotel, modern & retro design in Black and White ambiance. TOURIST INFO Nearby attractions that will make your experience unforgettable. AIRPORT SHUTTLE SERVICE Hassle free choices of Airport shuttle services to complete your journey in Bali. FREQUENTLY ASKED QUESTIONS Important informations you may wish to know while preparing your travel plan to go to Bali. 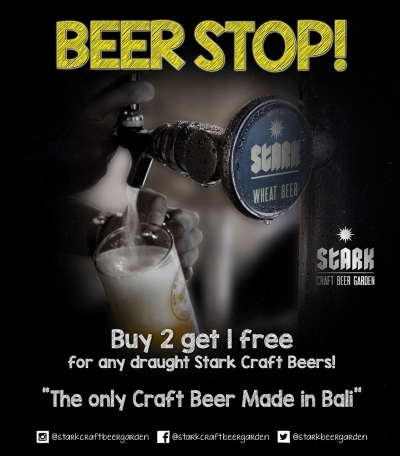 STARK CRAFT BEER GARDEN Great place with chilled Stark Beer, choices of wines, cocktails, mocktails and variety of western and signature asian food. 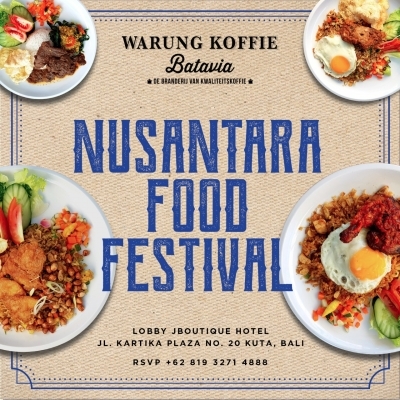 IN ROOM DINING Throughout the day we ready to serve you a wide selections of food & beverages inside your room. 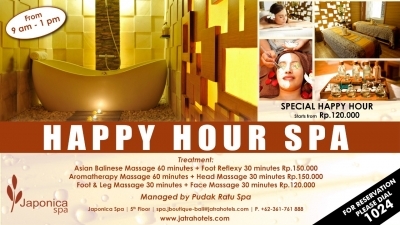 JAPONICA SPA Traditional signature Balinese massages and beauty relaxation treatments for the comfort of your stay. SPA TREATMENTS Complete your rejuvenating experience with our traditional spa treatments. 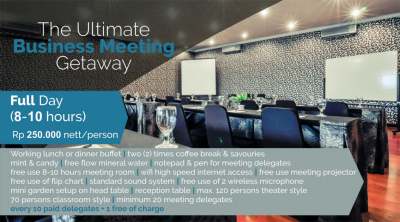 MEETING ROOMS Your preferred meeting venue for both business and leisure functions. ORCHID MEETING ROOM Your preferred meeting venue for both business and leisure functions. 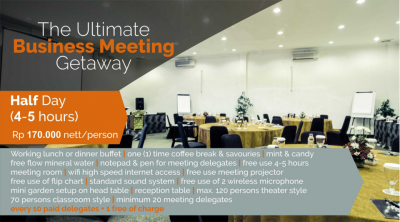 LOTUS MEETING ROOM Your preferred meeting venue for both business and leisure functions. We love this planet and everything that lives upon it. 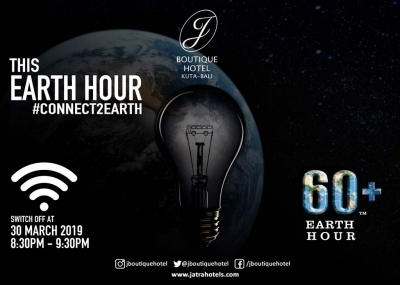 Join us and, together, let’s spark never-before-had conversations on nature and the unique diversity of life we share our home with #connect2earth. 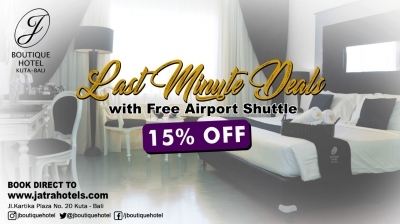 Book now, no need reservation fee and get 15% discount. 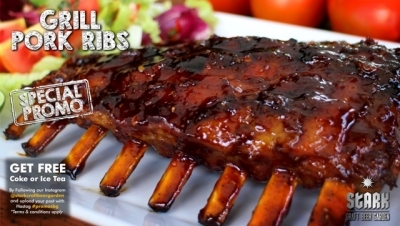 Is your mouth watering for some finger licking ribs? Try out our grilled pork ribs and enjoy a complimentary coke or ice tea only at stark craft beer garden. A simple twist to your ordinary pork dishes. 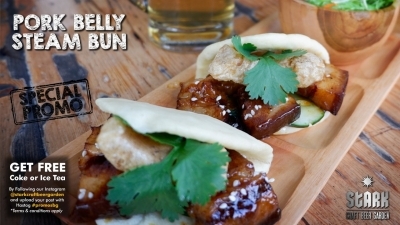 Enjoy the sensation of the slight chewiness of the steam bun combined with the juiciness of the pork belly in your mouth. Its the perfect combo together with a complimentary coke or ice tea. 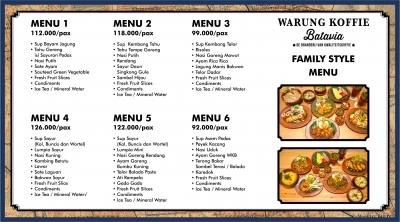 We present you a Family Style Menu where you can enjoy it with your family member and your loved one.